The 2007/08 financial crisis exposed the shortcomings of mainstream economic theory with economists unprepared to deal with it. In the face of this, a major rethinking of economics seems necessary and in presenting alternative approaches to economic theory this book contributes to the rebuilding of the discipline. This volume brings together contributions from different perspectives and theoretical approaches that address the challenge of updating the economic theory corpus and seek to recover prestige for this discipline after the failure of neoclassical economics. 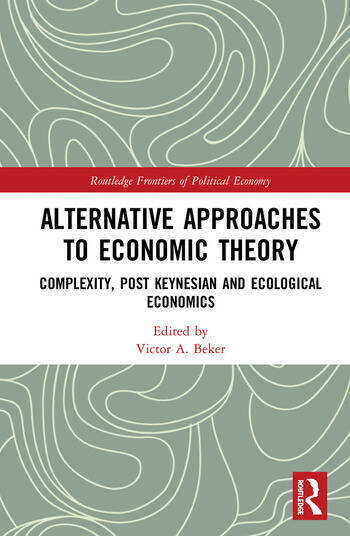 It addresses a range of topics including the complexity approach to economics, category theory, the Post-Keynesian approach to micro and macroeconomics, financialization, multidimensional analysis and ecological economics. The book is aimed at economics scholars, researchers, academics, and practitioners, as well as upper undergraduates and graduates in this area of knowledge. It may also be of interest for people interested in methodological issues in economics and the relationship between economic theory and the real world. Victor A. Beker is Professor of Economics at the University of Belgrano and the University of Buenos Aires, Argentina. He has been Director of the Economics Department at the University of Belgrano and of the Economics Programme at the University of Buenos Aires and has received several prizes for his work in Economics.